SURPRISE BABY SHOWER FOR ANNA AND BABY LEO!!!! Surprise ANNA!!!! Time to Celebrate!!!! I am so excited to be celebrating a Cyber Baby Shower Party for my friend Anna and the birth of her sweet baby boy Leo. 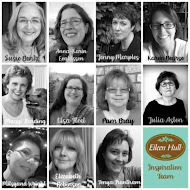 Anna-Karin Evaldsson is a very special member of the Eileen Hull Inspiration Team. Last year there were a lot of changes in her life, including a move from one continent to another and just a few months later, a new baby! Leo arrived weeks ahead of schedule (and just 20 minutes after reaching the hospital!) but thankfully he and Anna-Karin are both doing well. We want to show Anna-Karin how special she is to us, so we are giving her a virtual baby shower today to celebrate Leo's birth! 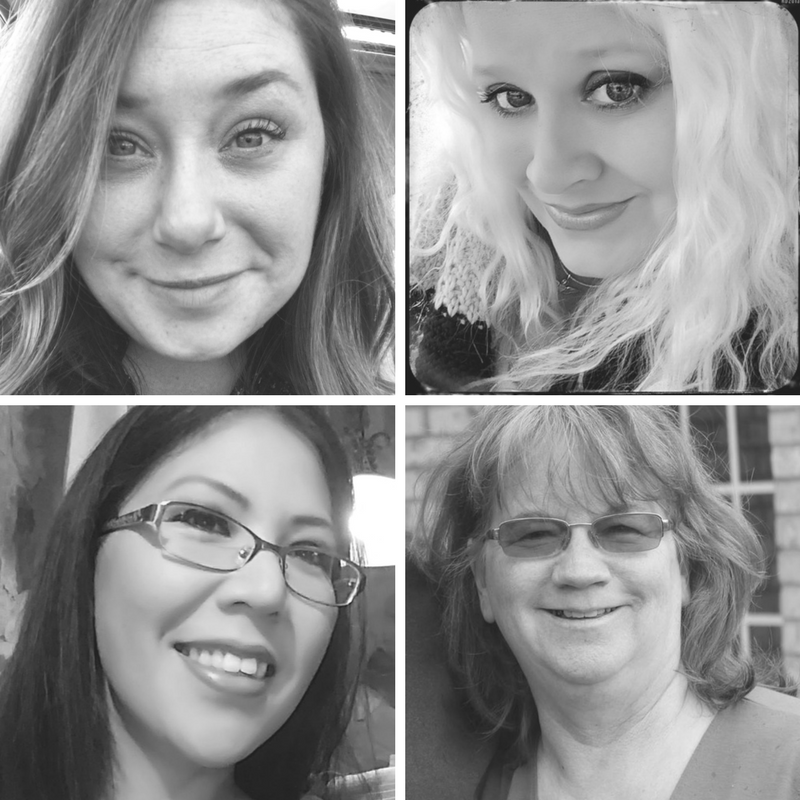 Even though we can't be with her, we send our love and a special crafty surprise. 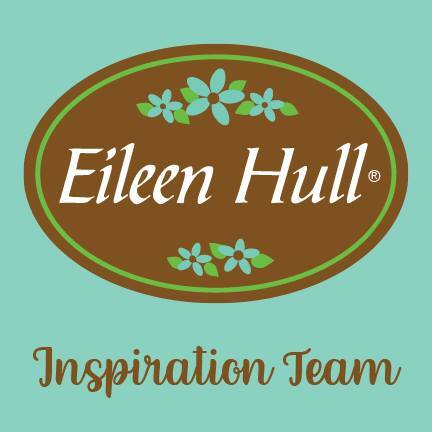 We invite you to visit each team member/shower guest's blog to see what they created for this new little guy. Anna, I made a set of baby storage Canisters so one can store many things a baby might need in them. 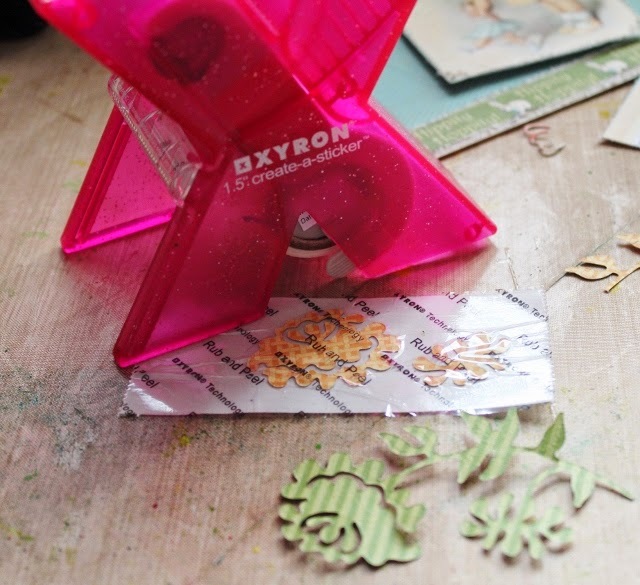 I began by die cutting 3 canisters from Eileen Hulls Canister Dies and cutting two of them to be a bit shorter than the original canister and base coated them with Hanna Yellow Media. Sprayed each of them with Yellow Green Mister, dabbing with a paper towel and doing all four sides. Once dried I repeated with Turquoise Shimmer Mister, dabbed with a paper towel and again allowed them to dry. Once dry I placed decorative Washi Tape here and there around the canisters. Finally, mixing a bit of Cerulean Blue Media with the Paste Paint I applied it to the canisters using the Doily Stencil from Deco Art. Hope you are enjoying the baby canisters so far Anna, now I had to decorate them to make them extra special for Leo. I used the Graphic 45 Bride and Baby Papers for the photos in the frames and on each side of the box. Along with making a lot of these fun style roses made by hand. I love the chip board borders I had in my stash so I cut them up and added some to each canisters. Anna here is two photos of the middle canister, love the little metal baby embellishments so I just had to add a few to each of the canisters. Of course Anna...all baby projects have to have a few ABC's added to their pieces. and more Roly Poly Roses as well as metal. Anna I hope you have enjoyed my Cyber gift to you and baby Leo. 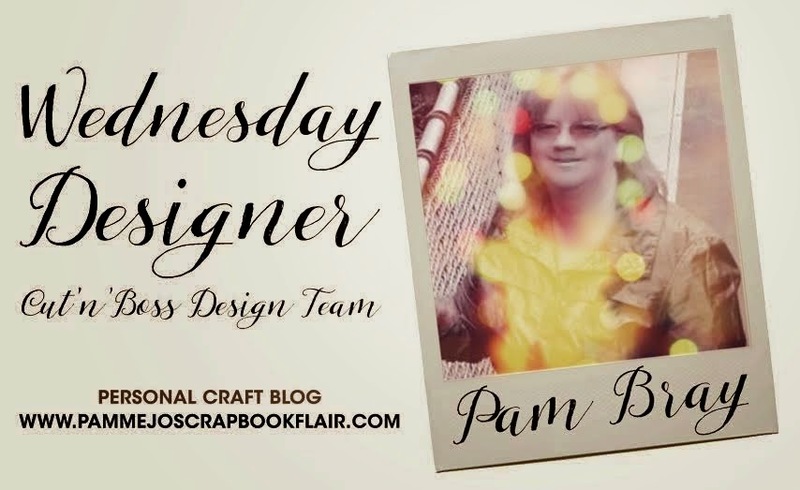 Party on by stopping by Donna's Blog next. Hugs and may God Keep His Blessings on you, your family and baby Leo. 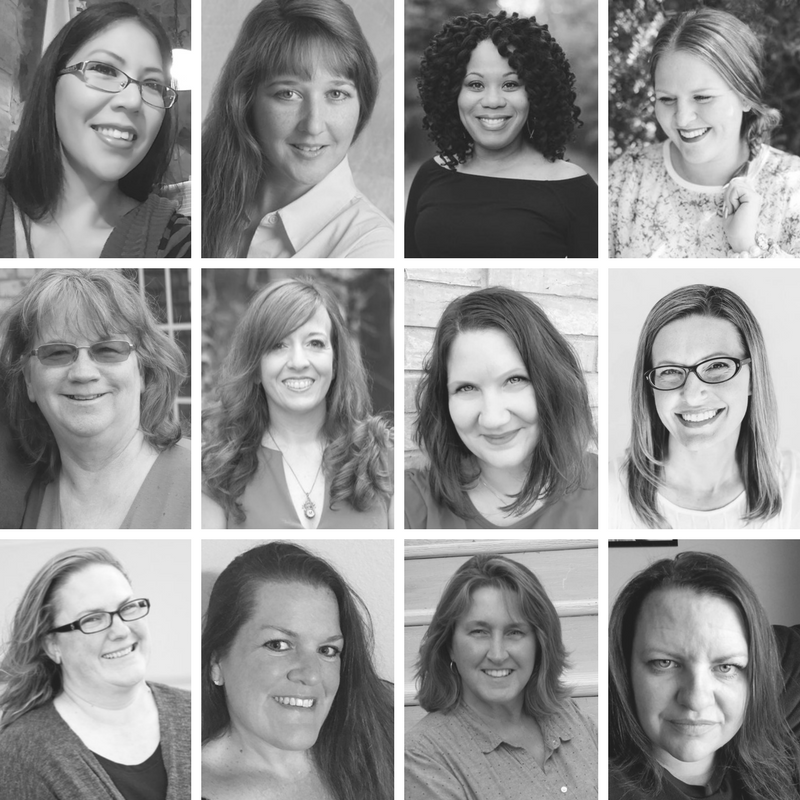 Thanks for stopping by and be sure to stop by Anna-Karin's blog and welcome baby Leo too. 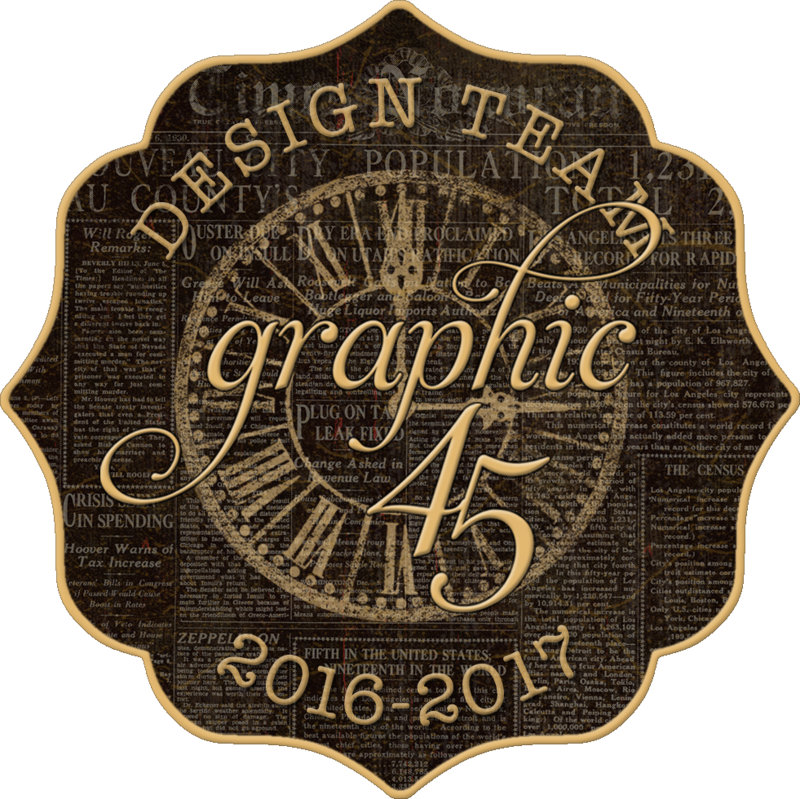 Check out the rest of the Design Team's awesome creations! 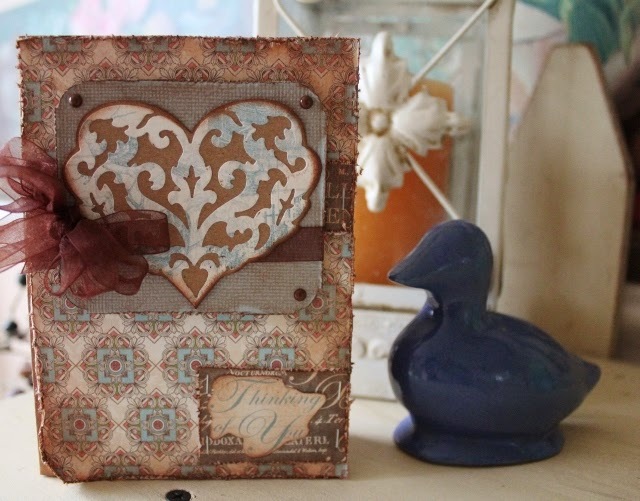 Good morning, it is Pam today sharing my Thinking of You Card using the gorgeous Regal Doily Die (DN-1119). I love inks and distress techniques on my projects so my Thinking of You Card has both ink and distress. I began by first distressing the edges of my paper pieces, inking them and adhering them to the front of a Kraft card base. 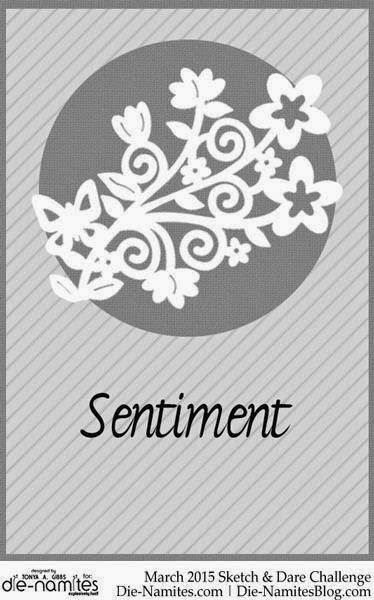 Die cut pattern paper using Die-Namites Regal Heart (DN-1119). Once the heart is cut out adhered it to the top piece of Kraft paper and fussy cut around the heart. Ink around edges of Regal Heart. 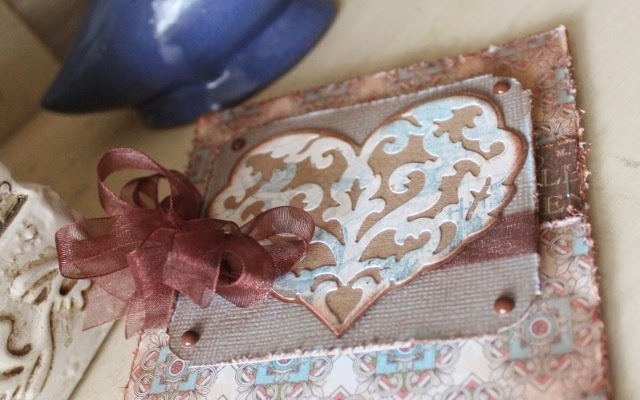 Wrap a piece of sheer ribbon around the distressed and inked mat. Place on top of card with pop dots. Add Regal Heart to the top and add brown epoxy dot. 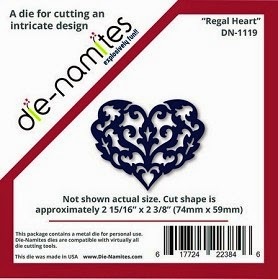 Here is a closer look at the Die-Namites Regal Heart (DN-1119), lovely isn't it? Hey There...do you hear the birds singing outside, the flowers are starting to pop out of the ground and buds on the trees. 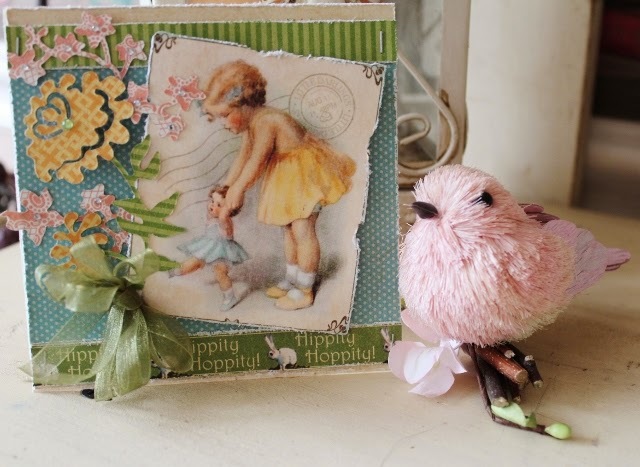 Well, at least it is here in Memphis.... What better way to spend the morning but making a fun card using Graphic 45 Botanical Tea, it just sings of spring. 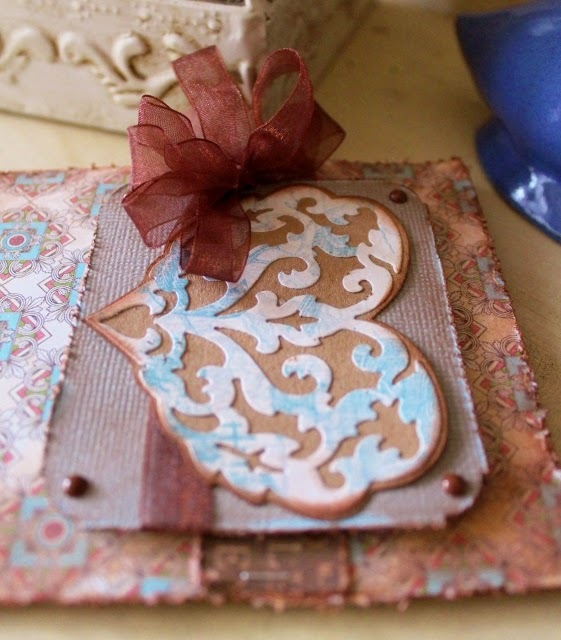 I used the Design Grid Embossing Folder and some brown distress Cor'dinations paper along with my Cut N' Boss. Layer all the distress Botanical Tea pieces on front of card base. Using some fabulous Xyron adhesive place pattern paper on to card base. 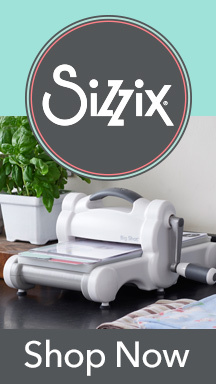 next place half piece doily die cut into the Xyron "X" Sticker Maker and place just under the distress Botanical Tea Journal Block. "Dance in the Rain Artist on the Block" is my Go Green Block for March. 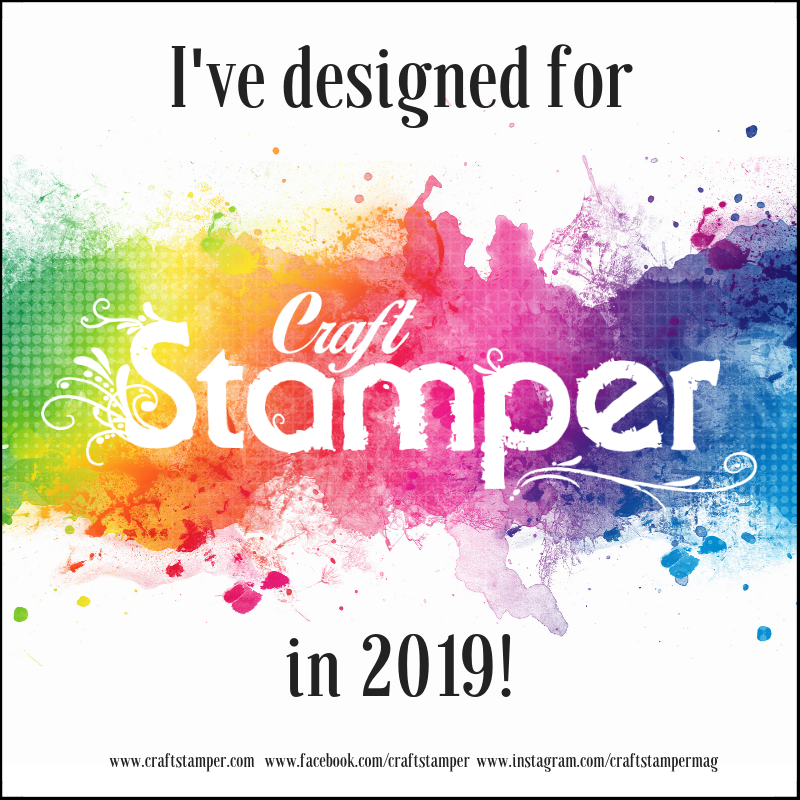 I love the stamp sentiment and thought it would be perfect for my block I made using Eileen Hull's XL Scoreboard. 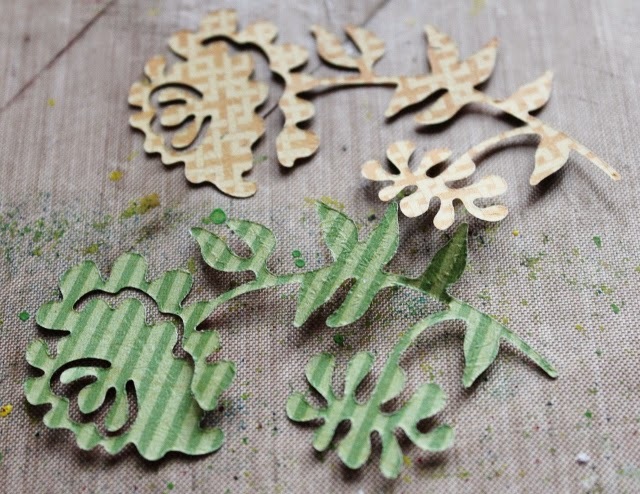 and then again with using Peeled Paint Distress Ink, misting lightly with water and dabbing off. Here is a closer look at the crackle paste when dried and inked. The gorgeous flowers are made using Heartfelt Creations Posy Patch Flowers Stamp Set and two shades of Copic Green Markers, fussy cut and layered together. I stamped several, well lots on to white paper and colored them with Copic Markers. Fussy cut them out and layered them together at the bodies so the wings would look like they are in flight. Lastly, on the other side of the "Dance in the Rain" Block is a better look at the layered butterflies along with the flowers that I created. 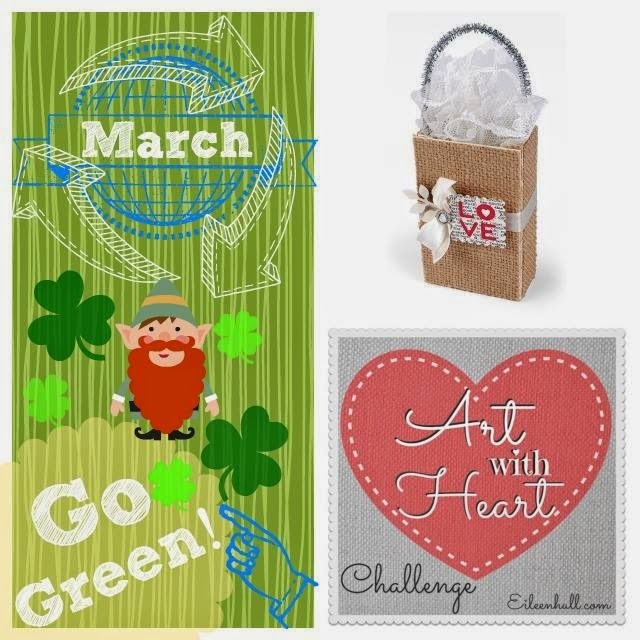 Well, I hope you love my Garden "Go Green" Box and play along with us on the Art With Heart Challenge, I can't wait to see what you create. 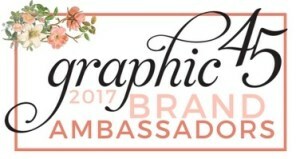 Using this amazing sketch designed by Tonya Gibbs. I began by placing my Graphic 45 paper and journal piece that I had distressed to the front of a 4 1/2" x 4 1/2" card base. I began by running both the Blooming Carnation and Flowering Branch Die-Namites Dies through my Cut N' Boss. 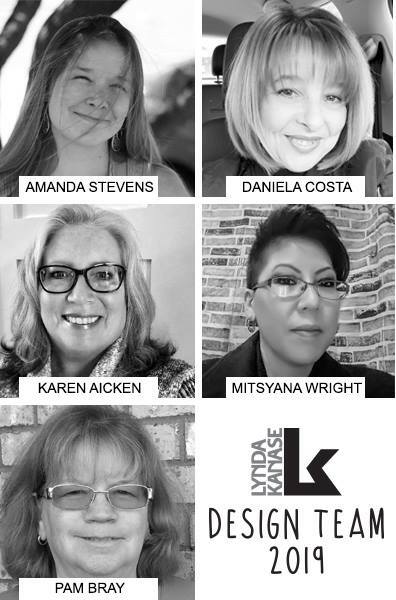 Using your Xyron "X" run cut pieces through. 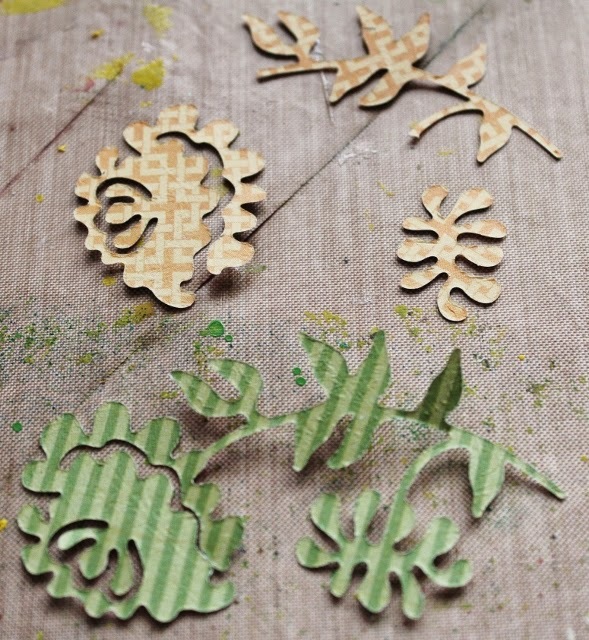 Take off adhesive paper and layer together to form two tone carnation. and create a card using this months sketch! Good Morning!!! 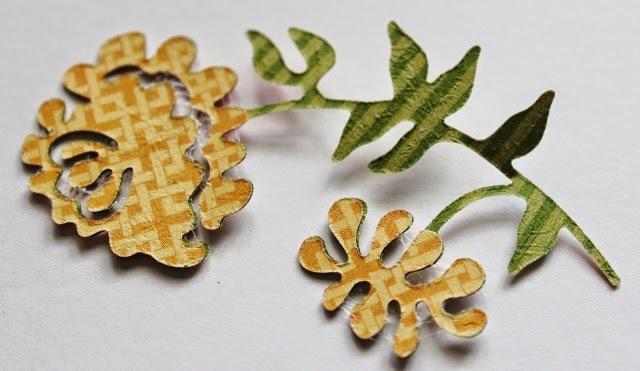 I amon the Craftwell Blog today sharing with you one of the Teresa Collins fabulous new mini embossing folders....how fabulous is this one. 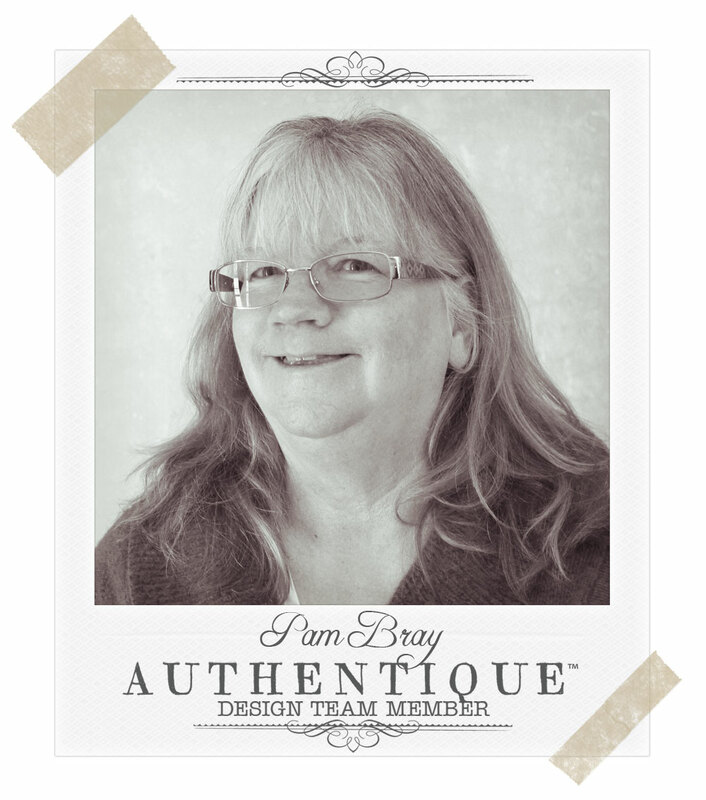 I began by first running brown card stock through my Cut N' Boss using a Label Die from Spellbinders. Once cut embossed the die cut piece and a border piece for the inside of my card using Teresa Collins mini embossing folder. 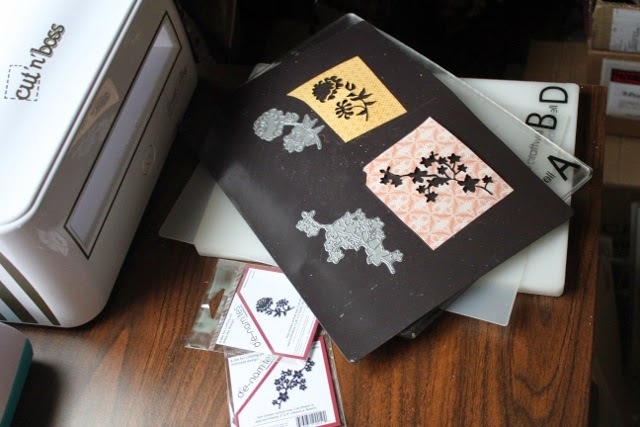 Distress the edges of the base pattern paper as well as the embossed piece and adhere together. 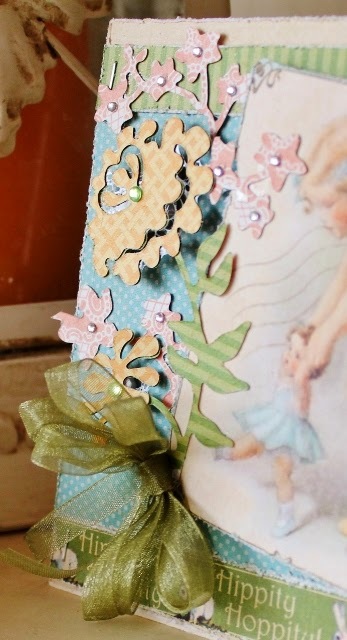 Adhere the layered pieces to the front of a cream card base. 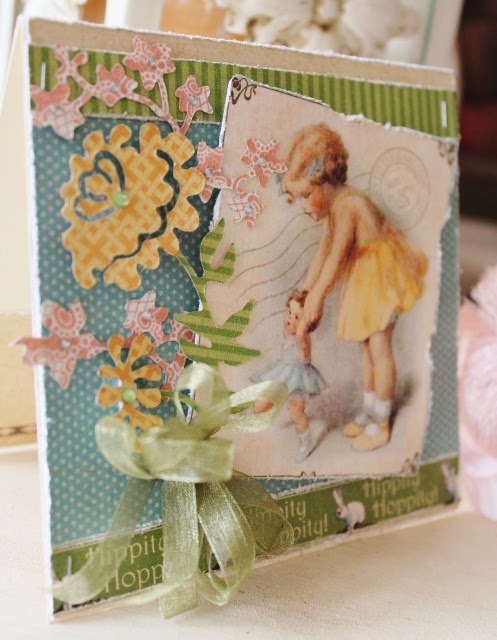 Add a small die cut piece that has been cut using another of the dies from the Luscious Labels Die Set, add a Happy Birthday Sticker and mat. Place matted piece on card front with pop dots. 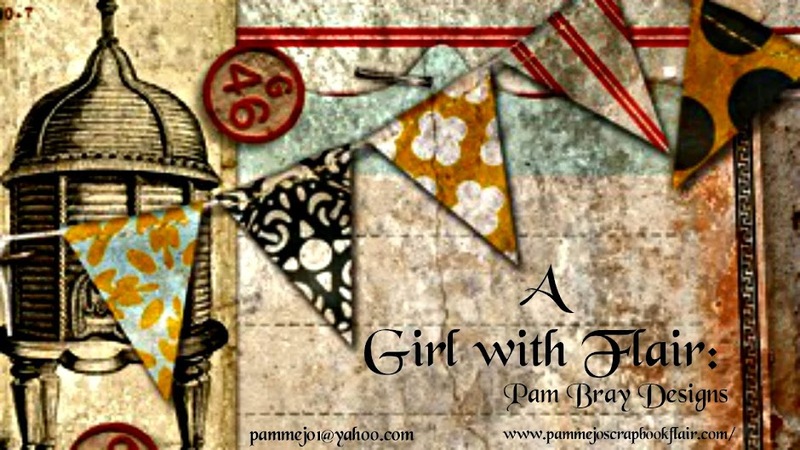 I added a flag sentiment along with a yellow sheer bow to finish the front of my Happy Birthday Card. ALSO: If you would love to see another of Teresa Collins Mini Folders check out last weeks post HERE!! !